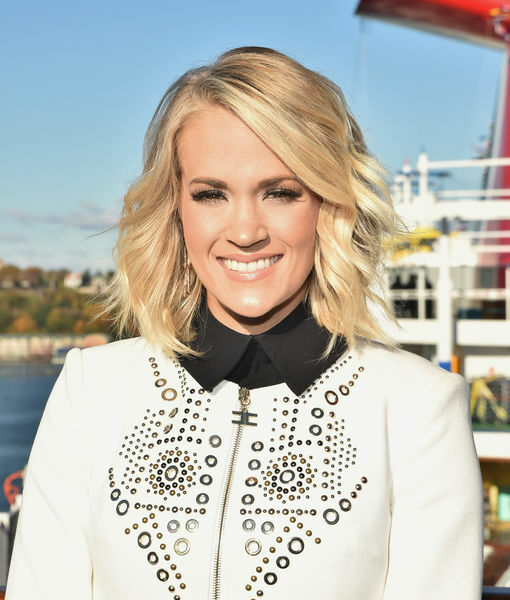 “Extra’s” AJ Calloway was with Carrie Underwood fresh off her co-hosting the 50th anniversary of the Country Music Association Awards, and she was still basking in the glow from the big night! 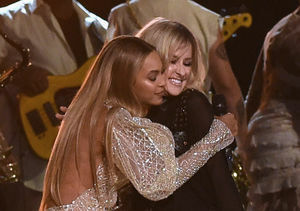 The country music superstar made some impressive outfit changes during the CMAs. “I think it ended up being 12 by the end of the night," she admitted. 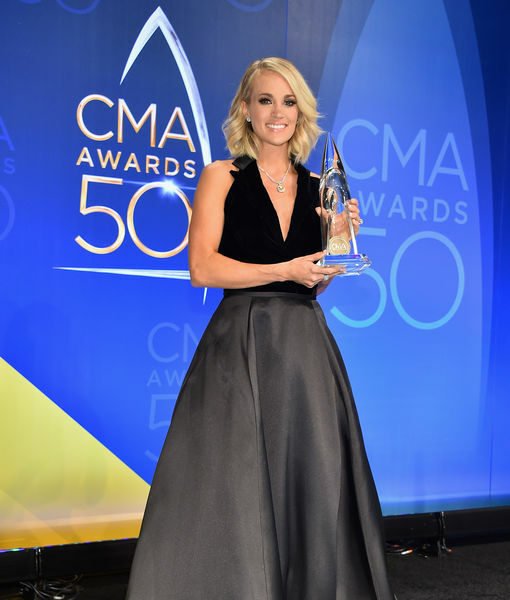 Carrie in one of her dozen CMAs outfits with her best accessory of the night — a trophy! The singer keeps a healthy lifestyle even while traveling so much. She is "always vegetarian" and does "my best to be vegan.” It can be tough to be vegan on the road, but Carrie says she relies on microwave meals so she knows she always has something to eat. 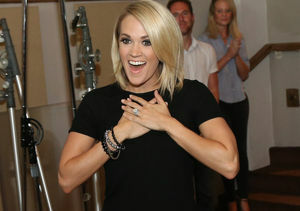 Up next, Carrie will head to New Zealand and Australia with Keith Urban till Christmas.